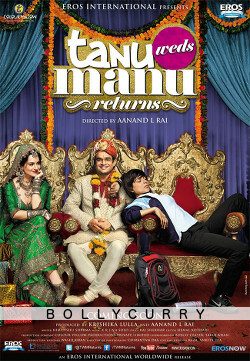 Tanu Weds Manu Returns has Bollywood's most loved mismatched couple Tanu (Kangana Ranaut) and Manu (R. Madhavan) heading back to the silver screen with the highly anticipated sequel to the hit Tanu Weds Manu (2011). The twist in this tale is in fact the double role essayed by Ranaut, that of Tanu and Kusum, a Haryanvi sports student who steals Manu's heart, after Tanu's run away from their supposedly boring marriage. With most of the supporting cast and crew reprising their previous roles, the music of this movie too has the lyricist and composer of the prequel, Raj Shekhar and Krsna Solo joining in. In addition to those by Shekhar and Solo, there is a special track in the album by the duo Tanishk-Vayu. Surj a.k.a RDB, the sole remaining member of band RDB who were behind the hit "Sadi Gali" from the prequel, too features in the line up. The album has a total of ten songs, with eight original ones, one being a remix and another one being a Haryanvi rendition of its original. 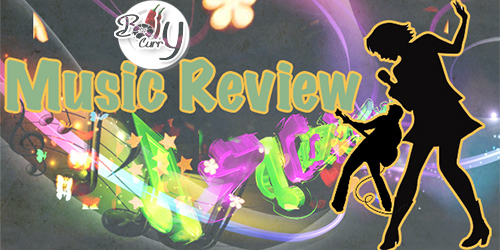 BollyCurry has undertaken the task of reviewing the soundtrack and are pleased to present our opinions to you. The album opens with the peppy and fast paced song "Banno", which is already ruling the music charts. The flute tone at the start reels us in and the catchy lyrics accompanied by drum beats reminiscent of the dhol transports you into the bylanes of India. Though Brijesh Shandilya has sung the major portion, it is newbie Swati Sharma who walks away with all the laurels with her outstanding modulation, displayed in how she recites a single line multiple times throughout the song. The composer-lyricist duo Tanishk & Vase are the ones behind this brilliant number and we look forward to hearing more of their songs. The next track is the highly lyrical "Move On" in which lyricist Shekhar has followed but may have tad overdid the Bollywood convention of infusing English words into Hindi songs. The high pitched vocals by talented Sunidhi Chauhan do not help matters improve. This song might not have listeners hitting the replay button as enthusiastically as for the other tracks from the album. The soothing number "Mat Ja Re" follows, a somber song backed by the pleasant voice of Ankit Tiwari. The use of violin at one point in the song adds to the overall feel of the number, beautifully complementing the overall tone. This is one of those tracks you listen to when in need of a reprieve from ear-blasting popular music. With Haryanvi folk genre dripping from every note and verse, the next song "Ghani Bawri" is a great composition backed by Jyoti Nooran's powerful vocals. What stops it from reaching the high set by "Banno" is when it breaks into a slow rap portion out of nowhere, soon after the truly rocking first two stanzas. This feels like a drop in the overall energetic tempo of the track than a worthy variation. Keeping this one an out and out folk song would have worked in its favor, but we are sure this number will be liked by the majority of listeners. The surprise package in this album is what follows, the jazz-tinged "Old School Girl". The use of trumpets and the sultry voice of Anmol Malik adds to the "Old School" (pun intended!) Hollywood feel. Though this is not an outstanding song of its genre, it does showcase the versatility of the lyricist and composer as the same duo were behind the rustic "Ghani Bawri". This is one song for which we are eagerly waiting for the video release to find out how it fits into the movie's narrative. Next in line is the song "Ho Gaya Hai Pyar". The slightly playful vocals by Dev Negi raises the quality of this run-of-the-mill number. The tabla beats in between the stanzas are the perfect addition as they give the work a Hindustani classical touch. A sweet melody, this song proves that Tanu Weds Manu Returns has an album that has something to offer for all kinds of music lovers. The master of soulful renditions, Sonu Niigam shows he is a class apart with "O Sathi Mere". The chorus does a brilliant job of backing Nigam's passionate vocals. As the number builds up to one of the many rousing crescendos, the listeners are bound to find themselves floating on the waves of magic created by this wonderful piece of musical composition. The track everyone was waiting for since the release of the movie trailer, the "Ghani Bawri (Remix)" delivers on what was promised. It does wonders to the original and removes any of its shortcomings. A sure shot to burn up the dance floors in the coming nights, this tune will have the masses swaying to it at. The next song is a Haryanvi version of the "Old School Girl". Instead of a truly Haryanvi version where one would expect a complete change in the lyrics, the listeners will find that it has the same English lyrics sung with a rural slang by Kalpana Gandharv. We are not so sure what the makers were intending to achieve here. The last song from the album is "Mari Gali", a track that is more or less a rework of the original, "Sadi Gali", with some major changes in the lyrics by Surj and N. S. Chauhan. The latter has also lent his voice to the track along with Dilbag Singh. The Gujarati flavor that composer Surj has infused blends in perfectly with the Punjabi essence of the original one. It is an absolute energetic number that is bound to be a hit. Tanu Weds Manu Returns might well turn out to be the film that instates 'Haryanvi' as the new 'Punjabi' as it features Kangana Ranaut effortlessly mouthing dialogues with the regional slang and a music album featuring two already popular tracks heavily influenced by the region's folk music. The makers have delivered a great album which has some amazing tracks from highly varied genres, ranging from folk to Jazz. Hence, we at BollyCurry give this soundtrack 4 out of 5 stars and urge our readers to give it a listen. And please do not forget to leave your comments below as we, at BollyCurry are eager to know your thoughts on this album. Editor (s): Ritchelle C. and Hershi J. Music Review: Dil Dhadakne Do Music N' Masti - Bollywood's Top 10!